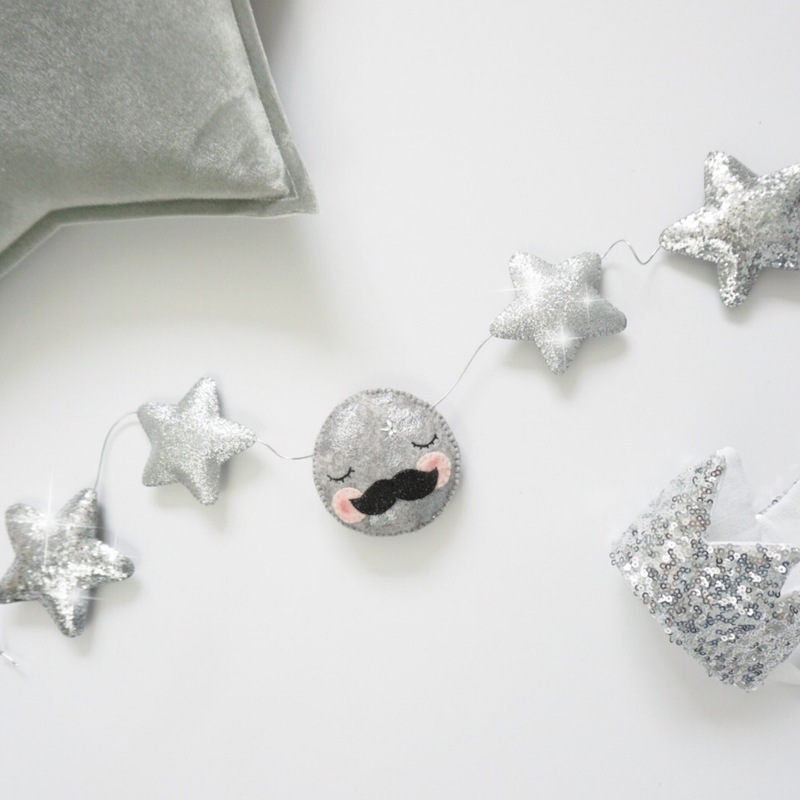 Velveteen Babies creates a magical nursery theme. 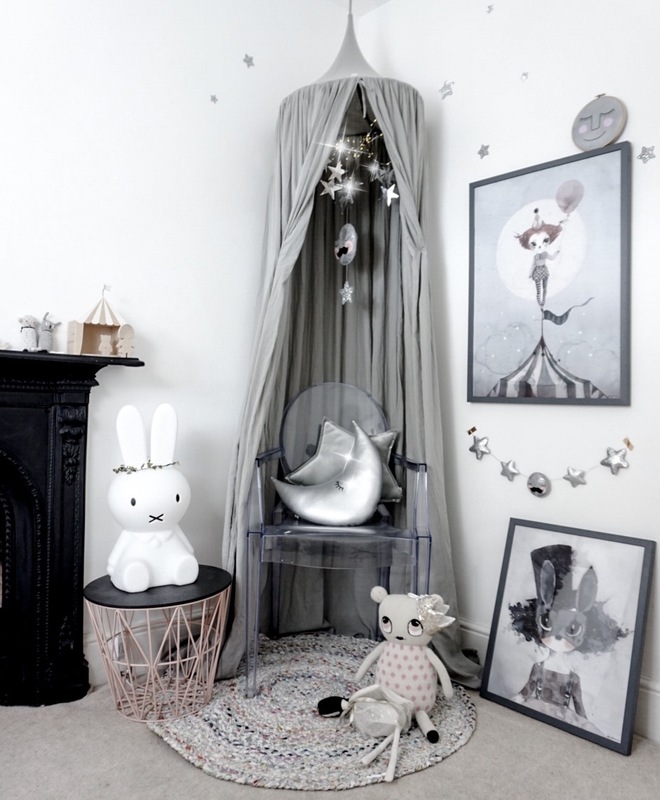 Creating a beautiful ethereal kids space is so simple with the addition of some gorgeous interior accessories and clever (but easy to achieve) styling. 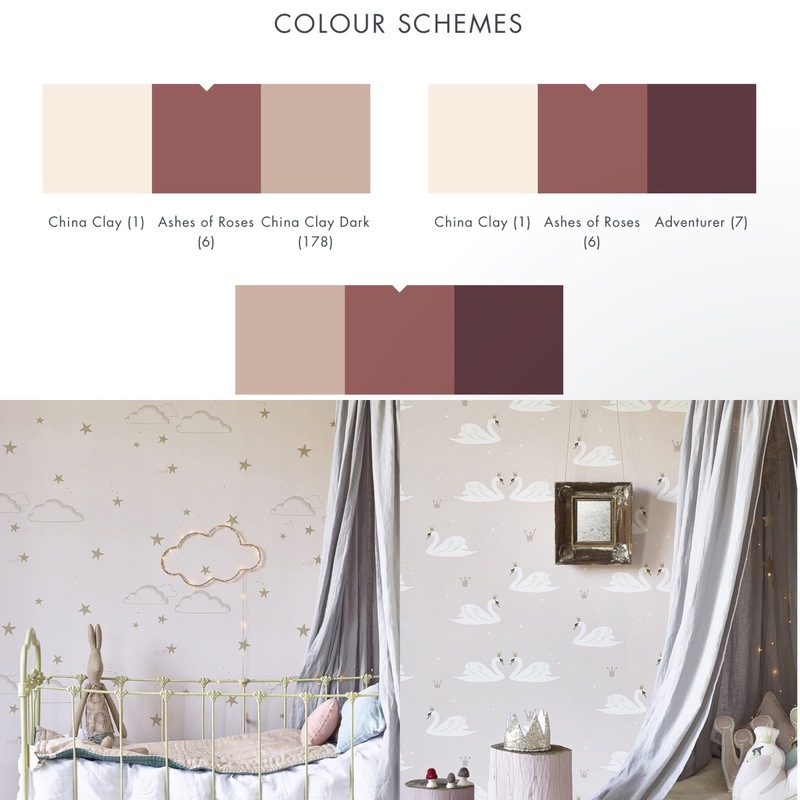 There’s such a movement towards beautiful, muted pastels, grey and soft watercolour textures in children’s interiors, that capture the imagination and are incredibly dreamy. For a girls room, then dirty muted pinks, or a stylised wallpaper can work well to give the room depth and identity, or go with a grey, Little Greene does some fantastic shades – My favourite is Dorchester Pink. For unbeatably beautiful wallpaper then you must visit hibouhome.com for the swans, clouds and stars, all designed and made in England. We’re hoping to be moving house in 4 weeks, but we’ve used these in Willa’s existing room, and they are so easy to use and position. 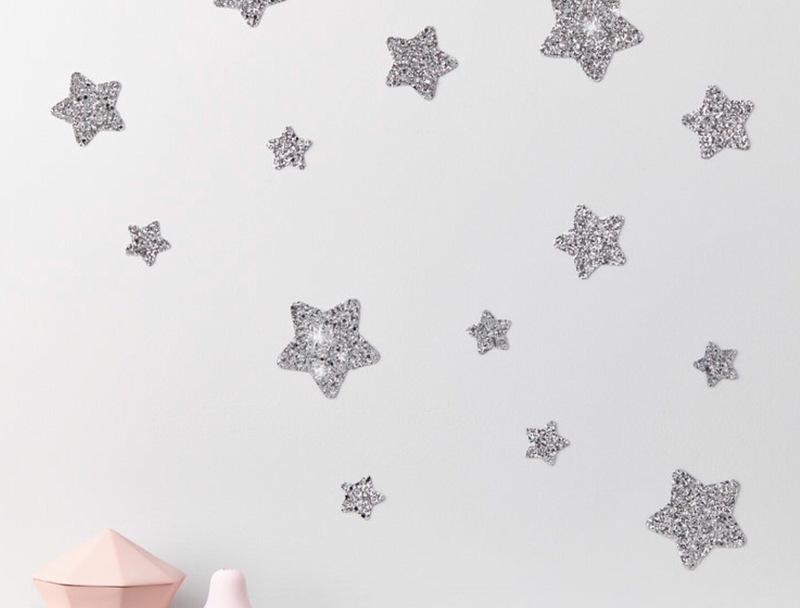 They add just the right amount of sparkle and we’ve used them on white walls- it’s still easy to get a magic look with white. In the next house I’ll be taking all these items but I’ll be painting the walls muted blush. 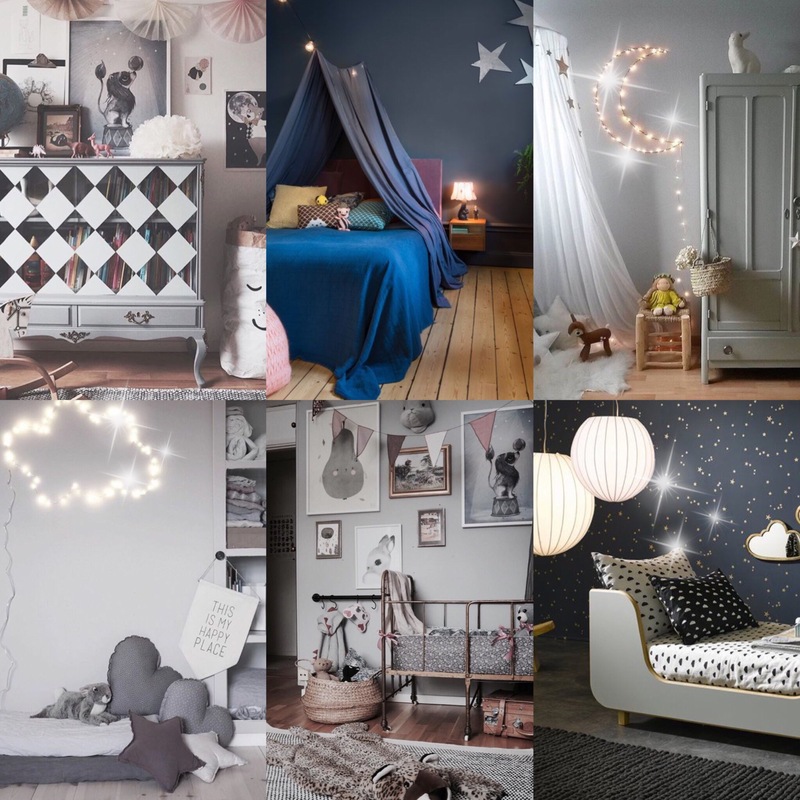 The essential accessory to any magical kidsroom is a canopy, and ours is the grey colourway from Numero74 which you can find at Molly Meg in lots of colour options along with loads of coordinating items. We have a few of the star cushions which come in different colours and textures which we’ve placed with our silver moon cushion by Marjorie Minnie. Pinterest is a huge source of inspiration and I’ve started to collate a board with some of my favourite images- a few of which are below. You’ll find our Pinterest at www.pinterest.com/velveteenbabies1 where we have lots of kidsroom inspiration and also pictures of our products that you can pin to your boards. 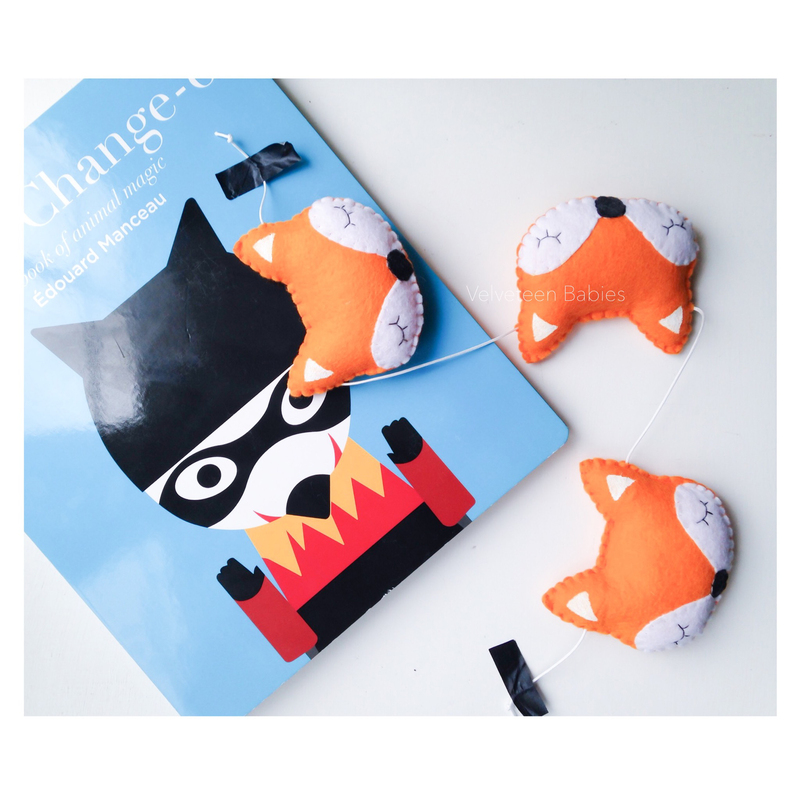 There’s another few components shown to creating a successful kidsroom with a magical feel. Lighting is crucial. 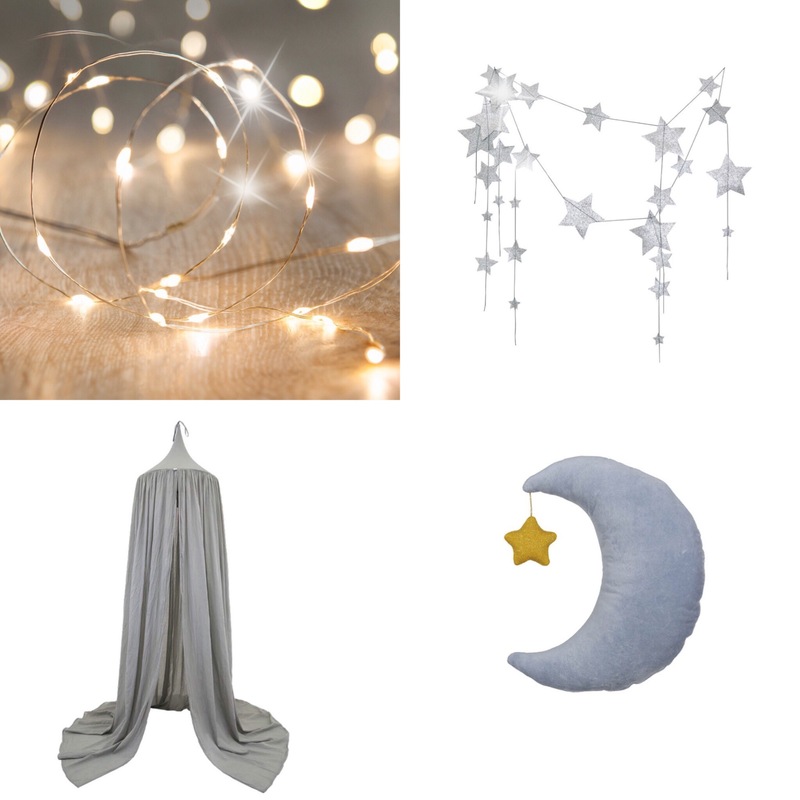 Find wire fairy lights and wrap around a cloud or moon shape to create your own, or Cox&Cox have a star shape ready lit. 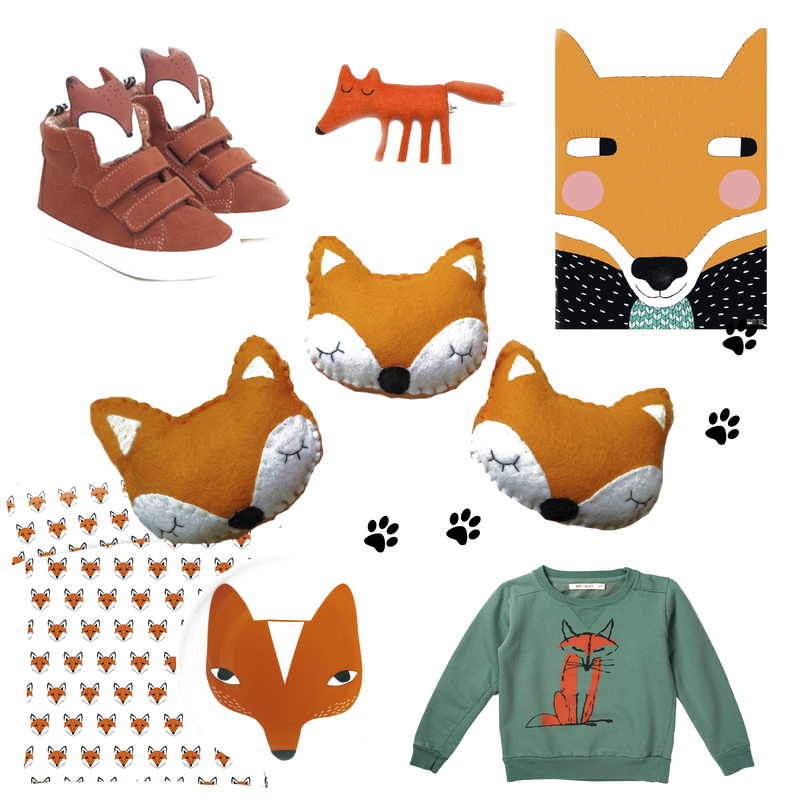 Mrs Mighetto prints are the perfect partner too and are made in limited editions each season. Ours are AW 2016 which had a circus identity, but this season the collection is based around nature. Our current favourite is Miss Alice. We’ve framed ours in grey wood, but they look incredible in eclectic vintage frames or on a wooden print hanger. We also love the monochrome prints from Ella and the Roo which are really beautiful- no need to stick to the rules- a wall covered in tonal prints in different styles can look incredible if you are brave. .Bunting from Numero 74 is easy to string up and gives an extra dimension to prints and wallspace, and our garlands are such an easy way to add another dimension to a magical space. Textiles and texture lend a luxe feel to any children’s room, so look for a bed cover in velvet or linen in muted shades. Cammomile London have a few beautiful styles and then pile cushions on top- moons, stars, and tassel detail work perfectly. Work with a few different colours otherwise it might feel flat, or inject some metallics if you do, it’ll lift a scheme easily. Finally, add some accessories with a nod to the feel- perhaps a row of glistening crowns on a shelf, or a vintage vase filled with fairy wands. 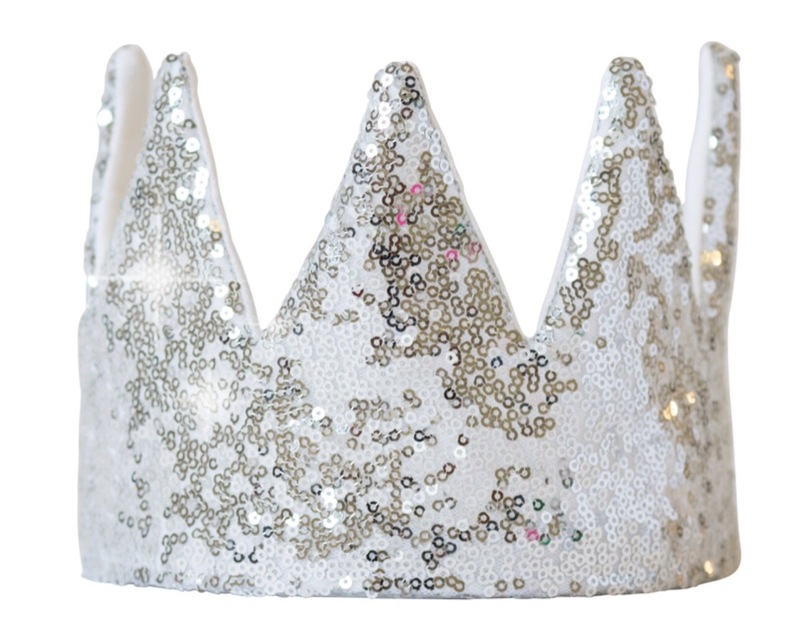 Molly Meg has such a beautiful selection, and you’ll find the prettiest crowns from Fable Heart, including sweet toy size ones. 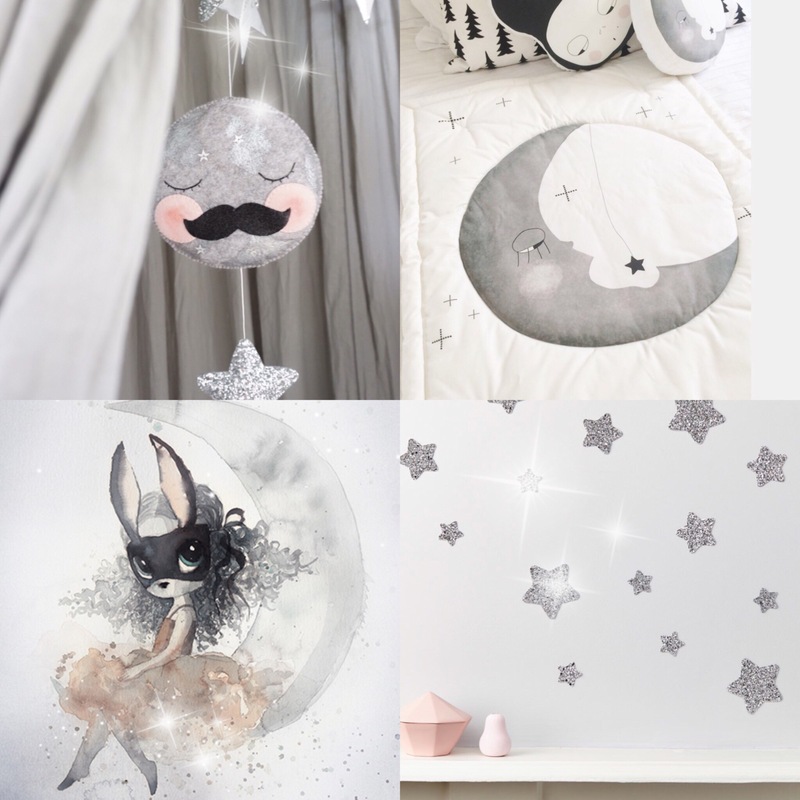 Our Mr Moon decoration is a gorgeous easy addition to a canopy or wall, and we adore this moon coverlet from Amayadeeme.